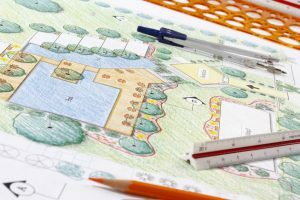 You might think that mapping out a location for a new pool will be an easy task. After all, you have that large open area in your back yard, so why not just put it right in the middle? While we all might want this to be the case, it usually isn’t. Mapping out the right location has a lot more to do with practical choices than preference, especially since there are building codes and call before you dig Denver utility requirements that simply cannot be ignored. Even though the property you bought belongs to you, digging in your yard is an action that can influence others as well as the environment. As a result, there are regulations in place that have to be followed. First, you need to call in tree experts to make sure your digging efforts will not harm the large, branching roots of nearby trees. Secondly, you have to call 811 before such a large digging project (or any digging project, for that matter), to make sure you don’t accidentally hit a utility line such as a power line or an internet cord that might be present in that location underground. Once you’re free of these requirements, it’s time to map out the size, shape and location of your pool. For that purpose, consider asking for help from local contractors who know all about installing various types of pools. Thinking Ahead While Planning Your Projects: How Will Your Digging Projects Affect Your Neighbors? Digging projects can be quite troublesome, even though, if you plan them right they will benefit you a great deal. Whether for the purpose of renewing your utilities, improving your landscaping or installing practical new walkways to get through your gardens and outdoor areas, it’s often well worth the expense to engage in a complex digging project. 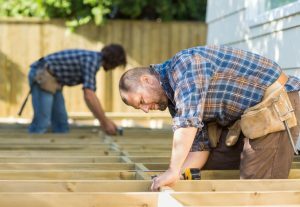 Unfortunately, your neighbors might not share your enthusiasm in some cases, and civil litigation can even result from an angry neighbor who has been adversely affected by your digging efforts. Your neighbors can be affected by your digging project in a variety of ways. First, depending on the equipment you use, the machinery might be quite noisy. As a result, your neighbor could end up fighting with you to protect their peace and quiet. Another more serious problem has to do with utility lines that might go straight under your home and garden, leading to your neighbor’s home. If that’s the case, and you hit one of those utility lines with your digging equipment, chances are you’ll have to pay a lot of money to have your neighbor’s utilities reconnected. To avoid such situations, always call before you dig in Fort Collins before engaging in any digging projects, and make sure the utility experts come to the scene to evaluate your property and tell you where it’s safe to dig. Removing trees from the premises of your home might seem like an easy and straightforward task. However, as most experts will tell you, there are a lot of different things involved that cannot be ignored. First of all, it’s important to figure out how large the tree is and what species it is as well. Some trees don’t have to grow too tall in order for their roots to branch out to considerable distances. In many cases, a somewhat older tree will have roots branching out to more than 5-6 feet in every direction, including downwards. As a result, when you want to remove the tree, you have to take into account the fact that those branches might be pretty thick, so it stands to reason that digging them out can be quite a destructive feat. Fortunately, you can call before you dig Denver utility services that can check whether any underground utility lines are present and recommend a course of action. In most cases, the best thing to do would be to hire a Hydrovac service that can use water under pressure to dig around troublesome roots and avoid hitting any of the fragile utility lines in the process. As a result, your tree can be removed in no time, and the remaining holes can then be filled with soil again without a problem. 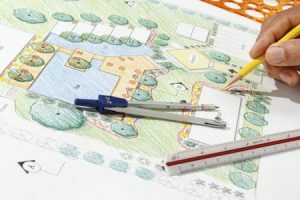 Winter is the best time for starting to design the layout of your garden – when nature outside is still asleep, you can invest your energies into figuring out what plants would look best in your beds, how to make the soil in your garden suitable for those plants and how to take even better care of your lawn this year. 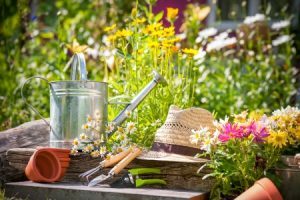 – Get the seeds and plant them into pots – you can start planting your seeds early on, to make sure that seedlings are strong enough to move outdoors when spring arrives. Before you dig, look at http://colorado811.org/ to be informed on all safety requirements prior to excavating. Is Your Soil Good for Growing? – Sandy soils drain well, but are not very rich in nutrients, so what you need to make it more fertile is to add organic matter to it regularly. 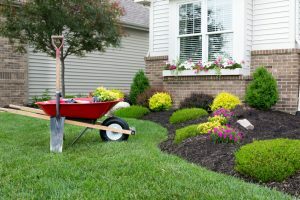 Whatever type of soil you have, make sure you add manure and compost to it regularly and try to alternate the plants in your flower beds in annual rotation to make sure your soil can replenish its deposits of a specific type of nutrient. 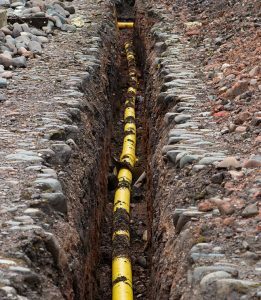 Whether you are digging to enhance your soil or planting trees or shrubs, using a underground cable locator prior to digging will ensure the safety of buried pipes and cables. What is Composting and How You Can Do It at Home? Composting is the process in which organic materials decompose and are transformed into organic matter used for enriching soils with nutrients, thus improving soil fertility in a natural, chemical-free and very efficient way. The process takes place in nature whenever dead organic material, such as leaves, fruits or other plant components accumulate in piles that are exposed to air, rain and the activity of insects, but it can also be induced in a controlled way in any garden. If you want to add compost to your soil, you can choose to buy it – bagged compost is available in any garden store – or you can choose to make your own. All you need for making your own, super-efficient, natural fertilizer is a hole in the ground or a container in which you gather organic waste, such as fruit and vegetable peels, eggshells and coffee grounds. The material accumulated in the hole or bin will start decomposing almost instantly, but the process will take up to a year for the oldest layer of waste to decompose completely and to transform into the compost that you can use in your garden. If you want to accelerate the process, you will need to water the pile of waste regularly and you can also add redworms to it – they will eat the waste and then release in the form of nitrogen-rich castings. 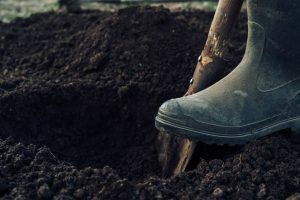 Before digging a hole in the ground make sure that you contact call before you dig Fort Collins utility location experts to make sure you do not disturb buried cables, wires, or water pipes. 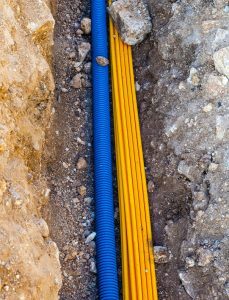 Utility lines buried and hidden underground can cause lots of problems and dangerous situations, especially on construction sites where the work involves excavation as well, therefore any building project should start with the identification of underground utility lines. Many of these lines are marked on maps and in other documents about the plot of land, but even so, the safest way to go is to get the entire plot checked. Fortunately, modern technology allows for checking your property down to very deep layers without moving any soil – with the help of a utility location service. Colorado Springs utilities locations companies use maps and blueprints as well as advanced, non-invasive devices, such as ground penetrating radars to locate hidden utilities. The locator devices used by these companies emit signals that are reflected by the materials that the hidden utilities are made from, then the reflected signals are interpreted by the device and the buried utility is located. The utility locator company that you hire will also mark the surface of the ground in the area where they detect the utilities to inform the operators of the excavators and of other powerful machines about the areas to avoid while moving the soil, thus ensuring the safety of your construction project.